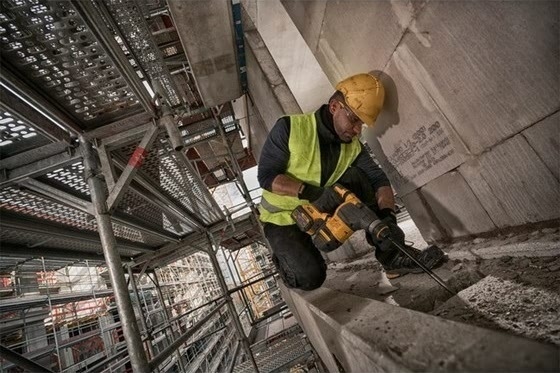 Few have embraced the evolution of cordless power tools like the Dewalt Flexvolt range. A perfect of example of this is this best-in-class Dewalt SDS hammer drill. We look at why the DCH333 is the most powerful of its kind, and the benefits on offer to those who use it. Another feature well worth mentioning is the DCH333’s category-leading high speed drilling performance. Capable of drilling more than 66 holes (18mm x 80mm) per charge is impressive enough. The fact it does with a maximum drilling capacity of 30mm in wood and concrete and 13mm in metal is equally good. Additionally, the drill provides plenty of versatility with its 3 modes. The capabilities of cordless power tools are well documented. This Dewalt SDS hammer drill gives you all of them in abundance. Scaffolders, for instance, can make the most of its durability and convenience when working in areas not so well suited to having cables laying around. On the other hand, builders may find the DCH333’s 54V power a major asset. This gives them a quick and easy solution for high performance drilling applications across the building site. To summarise, the DCH333 is a fantastic product. Drilling is made quick and incredibly effective by the features and specs on show. Some cordless SDS drills are better suited to those prioritising power and portability, while others may prefer one that is more lightweight. 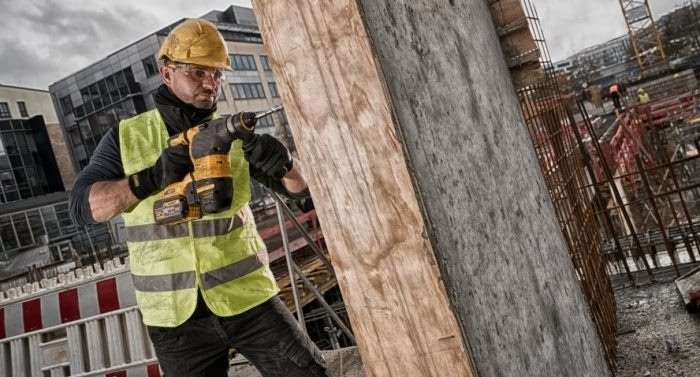 This Dewalt SDS hammer drill brings the best of both worlds. Check out the item for yourself by visiting one of our showrooms, where a demonstration is available. Alternatively, buy it here and order before 17.30 for next working day delivery.